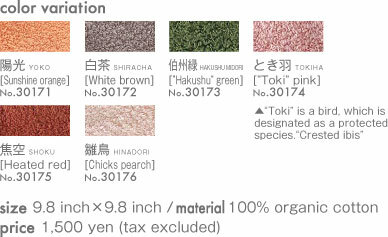 Haku Official Site | Our original brand "HAKU", which uses only organic cotton. 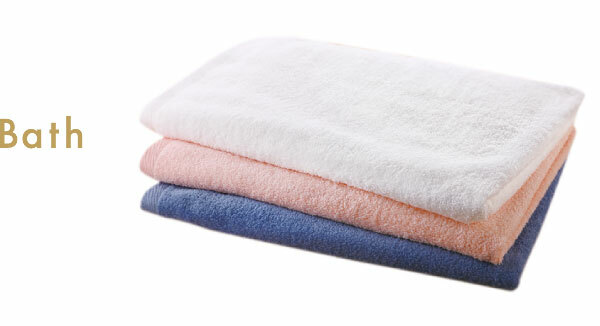 This image is an easy introduction movie of the original brand of organic cotton “haku”. First of all, please watch this video. Over half a century has passed since our company was founded in Sakaiminato City, Tottori. During that time, not only our lifestyles but also the natural environment of the world that we live in have been the subject of massive changes. People’s lives were formerly lived in much closer harmony with nature. However in recent years, in line with the increasing pursuit of convenience, a way of thinking has grown that places economic considerations and the achievement of profit before everything else. We feel that this way of thinking is placing an increasing strain upon our society, and so we feel that the most urgent question facing us is to consider “what we can do for the next generation”. We need to recover the “gentleness” and “concern for others” that people originally possessed, but that has been forgotten in contemporary society. We also need to regain “an attitude of considering the importance of nature for future generations”. We believe it is our mission to pass these values on strongly and unambiguously to the next generation. And as the foundation of our efforts is teaching people to “know the wonder that only genuine objects possess”. The special quality that is possessed by genuine items, that are not imitations, is something we have, from the time of our foundation continued to provide to our customers over the course of many years, through creating innovations in various fields. Four years ago we encountered “Hakushu Cotton”, which is a heritage product of the City of Sakaiminato, where we ourselves live. 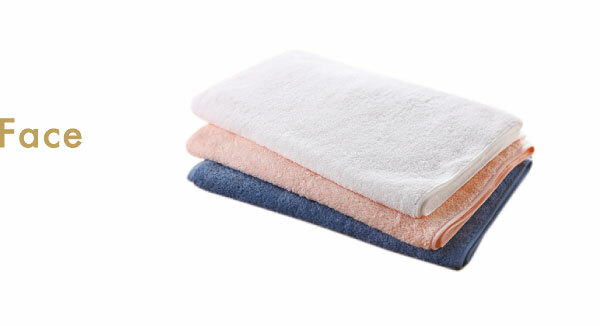 Hakushu Cotton is a Japanese produced cotton fabric that was developed 300 years ago by our ancestors who lived here in the province of Hoki. Surrounded by nature, the people of this region planted seeds and cultivated their fields without using any pesticides or chemical fertilizers at all. Hakushu cotton grew strongly in the abundant sunlight and sea breezes of the region, and was watered by the natural rainfall. 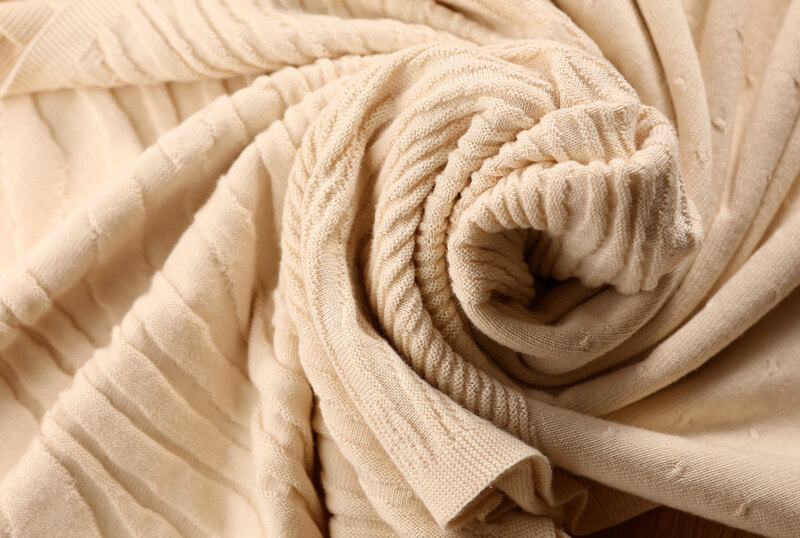 At every step of the process of creating Hakushu Cotton, from spinning to dyeing to weaving to creation of a finished product, we have been determined to stay true to the spirit of our ancestors and incorporate nothing but the genuine article. And through this the creation and marketing of this product, we also hope to pass on a “spirit of thinking about the importance of nature” to the next generation. The pure white color and gentle feel of the raw cotton that pokes out of the split boll, fills our hearts with the joy of the harvest. That emotion is at the heart of our craftsmanship. 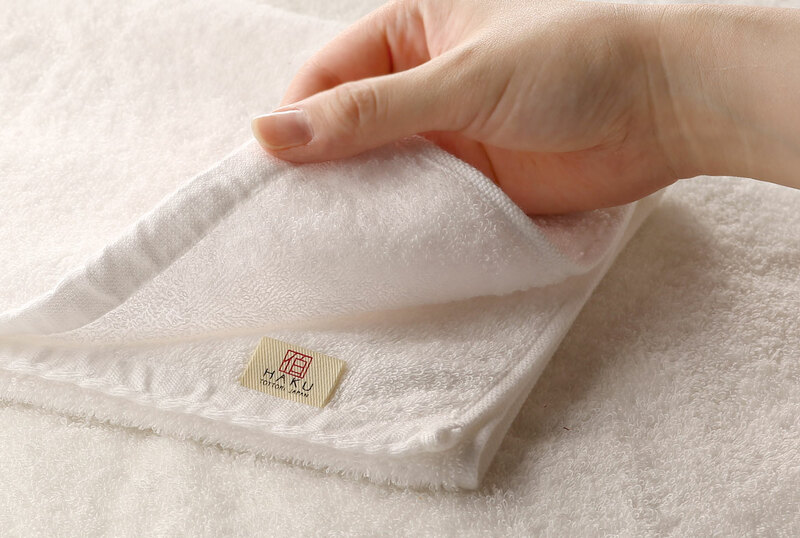 So with the aim of creating a product that emphasizes the special qualities of Hakushu cotton, we named the brand “HAKU”. 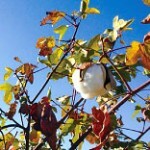 And the name “HAKU” also embodies our wish of passing on these cotton fields filled with pure white flowers to future generations, as well as ensuring the safety and security of everybody involved, from the people who produce the cotton to the people who use it, and to always keep supplying genuine products. 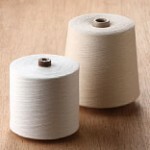 This is yarn which is blended to be the resilient and moisture-rich “Hakushu Cotton” with Peruvian and American organic cotton that pursue comforts for its users. 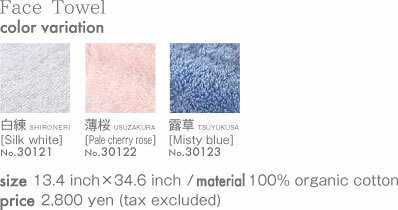 We are the first to succeed in making organic yarn made of Japanese cotton. Cotton fields sit under the gentle sea breeze from the Japan Sea and strong sunshine. 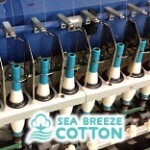 We have named this “Hakushu Cotton” yarn grown in the rich nature, “Sea Breeze Cotton”, with our regional pride, hope for the future, and dream of environmental protection of the earth. Sakaiminato-shi, Tottori, achieved national prominence with “Hakushu Cotton” as the biggest production region of Japanese cotton in the Edo Era. 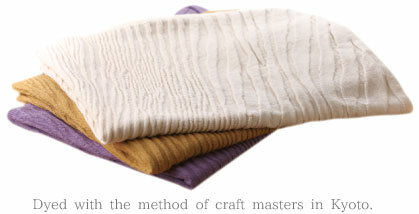 In modern times, the cotton is partly used in a traditional craft in Sakaiminato, “Yumihama gasuri”. Hoping to rejuvenate the excellent culture of the region, we have started to cultivate the native breed “Hakushu Cotton” in cooperation with the people in the area in the 20th year of Heisei (2008). The following year, cultivation had surpassed expected expansion, and now we are the top production region of Japanese cotton in Japan. 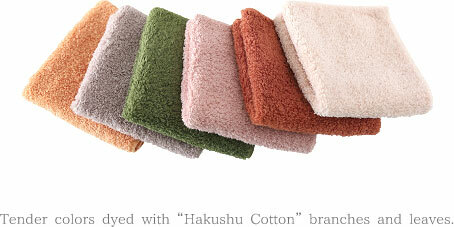 “HAKU”, as a result, has been born with the use of “Hakushu Cotton”, in order to forward cotton production. 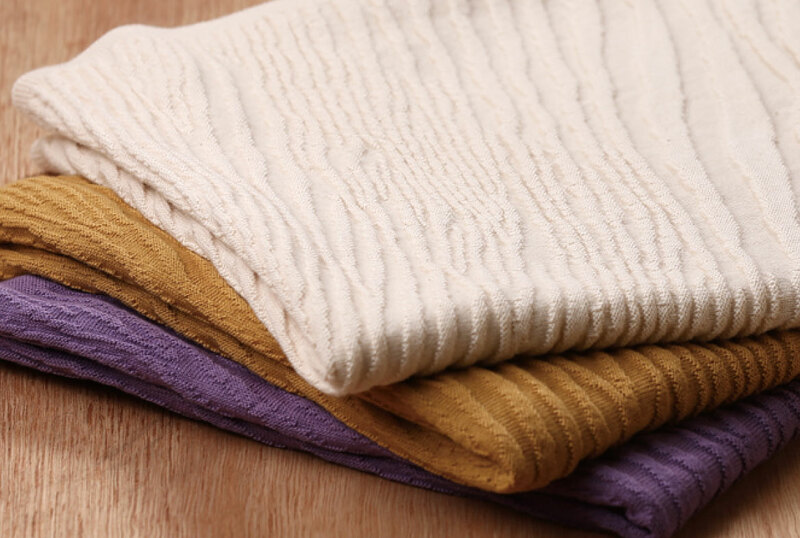 Throughout its making process, this organic cotton is environment-friendly. 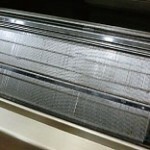 We made the product with care and pride. Please touch and feel the Japanese quality craftsmanship. Handiwork passed down to us over a period of time. 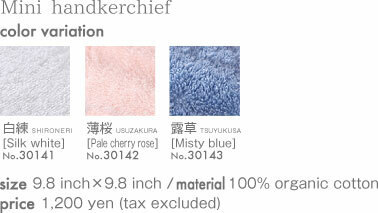 How we have “Hakushu Cotton” in our lives. Seed in fields without agricultural chemicals and fertilizers for over 3 years. Carefully handpick every split-open cotton ball. 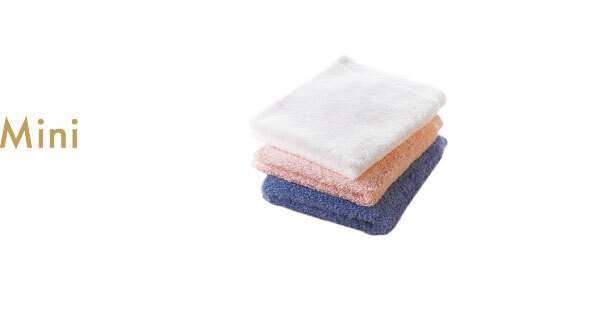 Environment-friendly bleach and dye in such ways as “ozone bleaching” or “plant dyeing”. Weave following traditions and natural laws with artisanship. Sew, fix, and inspect. After all processes are cleared with certainty, the name “HAKU” is given. a. A cotton field of “Hakushu Cotton”　b. Raw cotton. Harvesting starts in September. c. A flower of raw cotton. Before pollination they are white, but pollinated ones are pinkish. d. From weeding to fertilizing, everything is cared for by hand. 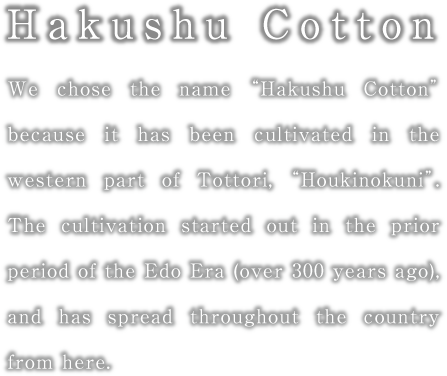 What we call “Hakushu Cotton” was first cultivated in the Edo Period more than 300 years before the present day, and was called Beach Cotton. At its peak, it formed one of Japan’s major industries and became a nationwide brand through the efforts of the “Kitamae-bune”, cargo ships that sailed the sea of Japan in the Edo period. The cotton industry expanded so much that it became the major source of income that supported the feudal government of the Tottori domain. However, with the rise in imported cotton following the elimination of import duties on cotton in 1896, the Japanese cotton industry went into a steep decline. 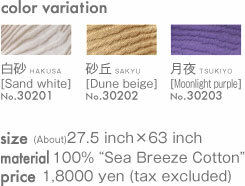 Hakushu Cotton, however, remained locally important as the source material for Yumihama Gasuri, which was one of the three major patterned Kasuri fabrics of the San’in region. 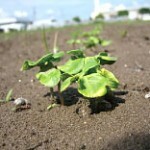 So it continued to be cultivated in the Tottori area, though on a much smaller scale. 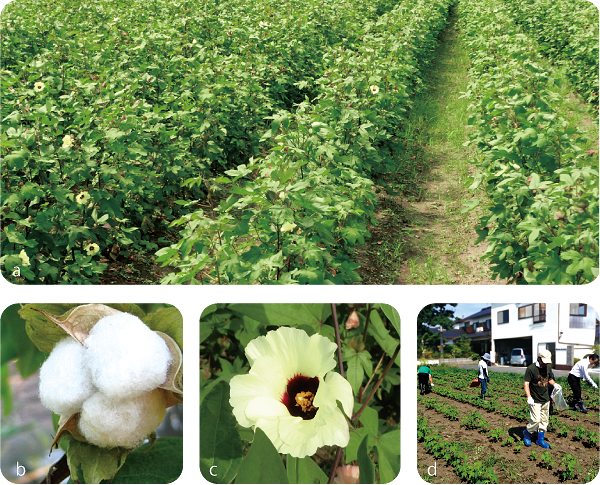 In 2008, however, there was an attempt to revive the large scale cultivation of Hakushu Cotton launched by the Sakaiminato City Agricultural Collective. Since that time the area under cultivation and the size of the crop have both slowly but steadily continued to increase. And further, we are also trying to spread the planting of Hakushu cotton seeds all over the country. Our original brand "HAKU", which uses only organic cotton, brings out the special qualities of Hakushu Cotton, and delivers customers the safety and security of organic cotton.